Douglas Cooling & Heating Supports National Breast Cancer Awareness Month! Of all the various appliances and other systems that run throughout your home, probably the one that you want to malfunction the least is the electrical system. 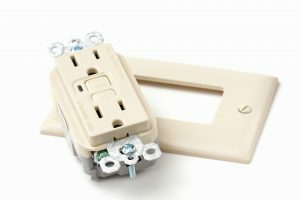 Not only is your electrical system something that most every other home system relies on, but it also can cause some very dangerous problems of its own when it starts to malfunction. House fires and electrocution are not something that anyone wants to deal with. So, in the interest of avoiding those issues in your own home as much as possible, here are some tips on keeping your electrical system both safe and efficient. We’re going to be covering some common signs that your electrical system is in-trouble later on in this post. For most electrical issues, though, symptoms often don’t become obvious until whatever issue is affecting the system has developed far enough to cause some serious damage. That’s not really the time you want to be first discovering that you have a problem. The best way to avoid that is to schedule annual inspections. An annual inspection and maintenance appointment gives your electrician the opportunity to find and resolve any developing issues with your system before they have the chance to develop far enough to cause a threat. This can dramatically cut down on the odds of a serious problem affecting your electrical system over the years, and even improve its energy efficiency. So, if it’s been a while since you’ve scheduled a professional inspection for your electrical system, call a contractor you trust and set one up today. Hot Spots: When an electrical current escapes the wiring and flows into the surrounding area, it will often meet resistance from whatever material it is trying to pass through. That resistance will disperse part of the energy from the current in the form of heat. This is why you should call for repairs if you notice any hot spots on your walls, floor, or ceiling. Unusually warm areas with no other explanation could indicate that you have a short circuit in that area. Flickering Lights: Contrary to popular Hollywood movies, flickering lights in your home do not indicate that it is haunted. What it can indicate, though, is that you have a problem with that circuit that is affecting the flow of electricity. It’s best to have a professional electrician check out the system for you, just to be safe. Douglas Cooling & Heating offers a full range of electrical maintenance and repair services. If you are looking for the best electrician in Hoover, AL. contact us today for an appointment.